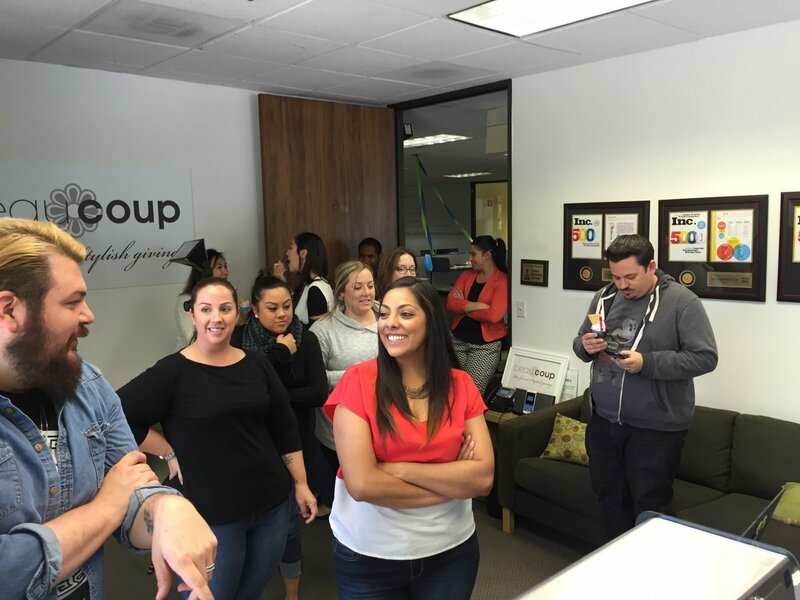 We’re feeling pretty darn spoiled as gelato catering company, Pop Up Gelato, came by our neck of the woods to host a surprise ‘Gelato Social’ for the Beau-coup team. 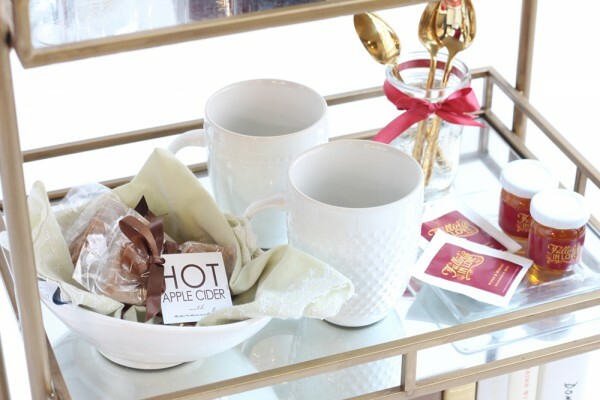 It was a decadent, ultra-fun, and super yummy event and we’ve got the pictures to prove it. 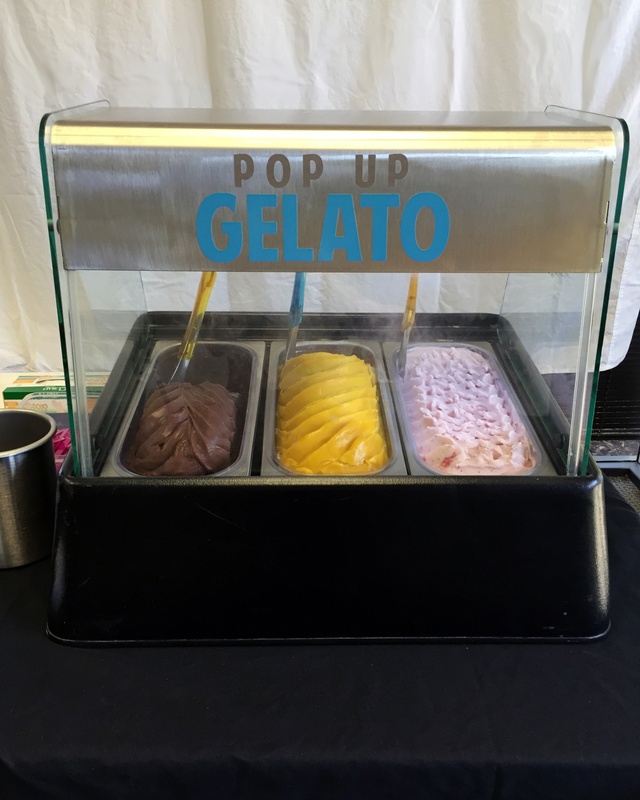 Get the inside look of our gelato social party below and reach out to our Bay Area friends at Pop Up Gelato to get this gelato bar catered at your next celebration (psst… they do weddings)! 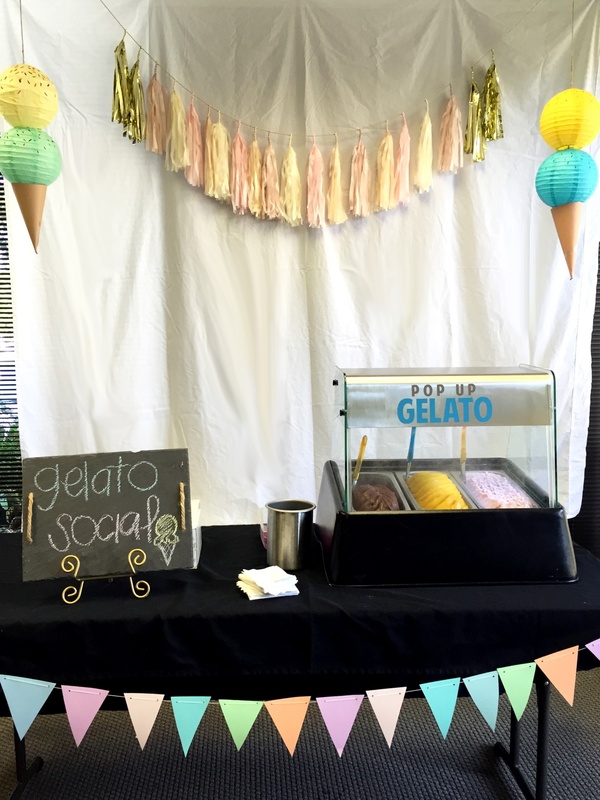 The setup included our round paper lanterns decorated to look like ice cream scoops, our paper tassel garland as backdrop, a colorful paper pennant banner to decorate the table front, and our custom slate board with the words “gelato social” neatly written across. 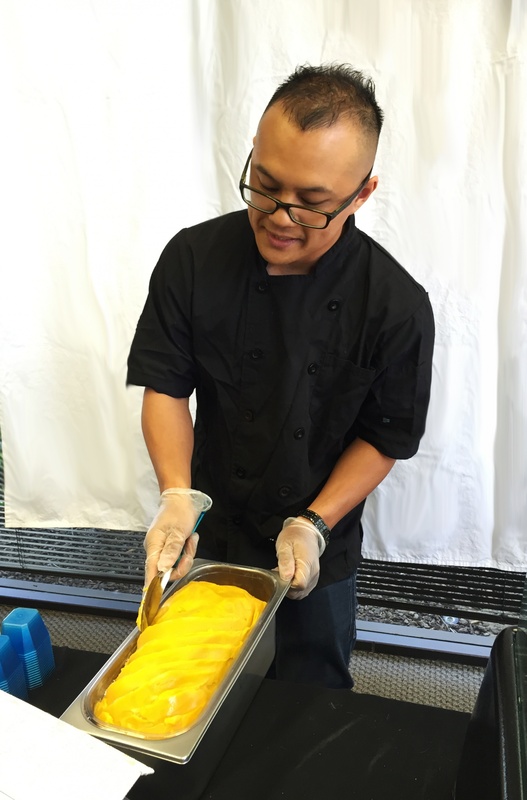 Marvin, one of the owners of Pop Up Gelato, carefully preps the mango gelato. Pop Up Gelato member Celine kindly hands off a yummy cup of gelato to our Beau-coup teammate. Get it while it’s cold! 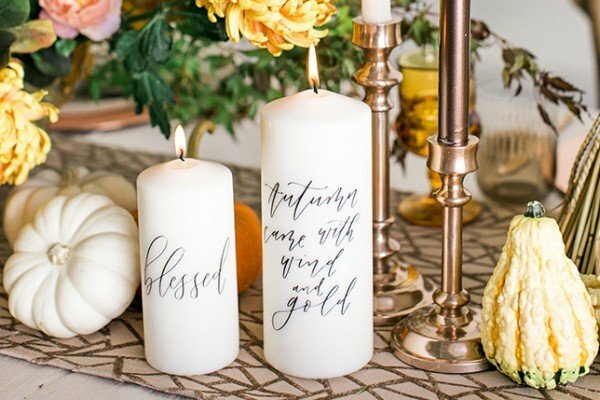 There was literally a line out the door for this stuff! 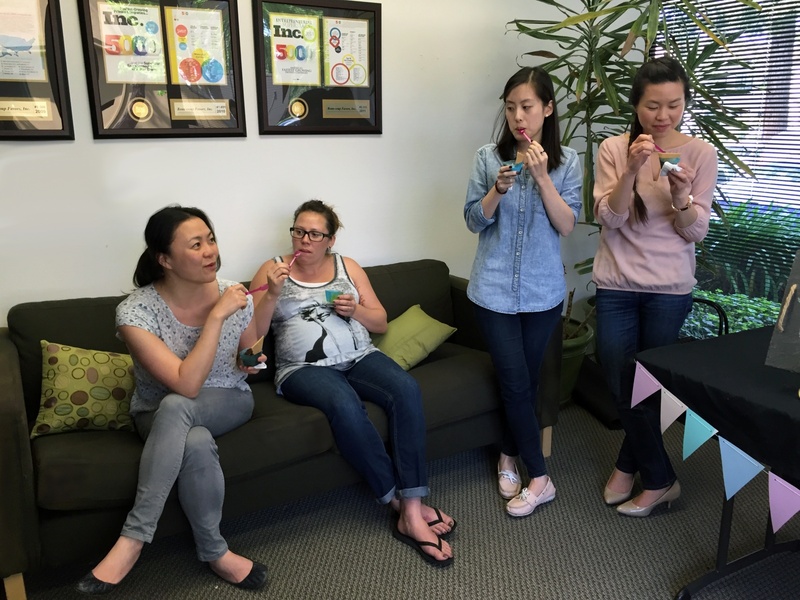 Just a bunch of gal pals sitting around, enjoying some gelato. 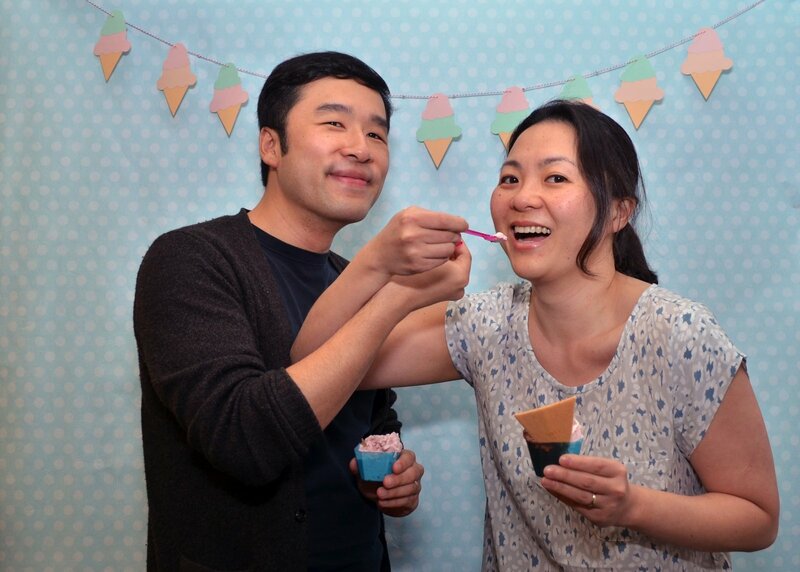 Gelato photo booth fun! 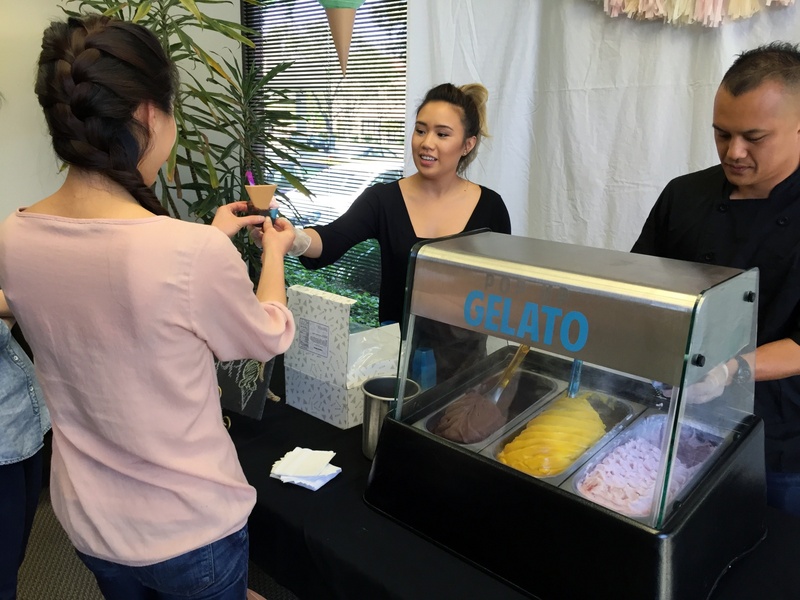 Who knew gelato could be so flirty!? 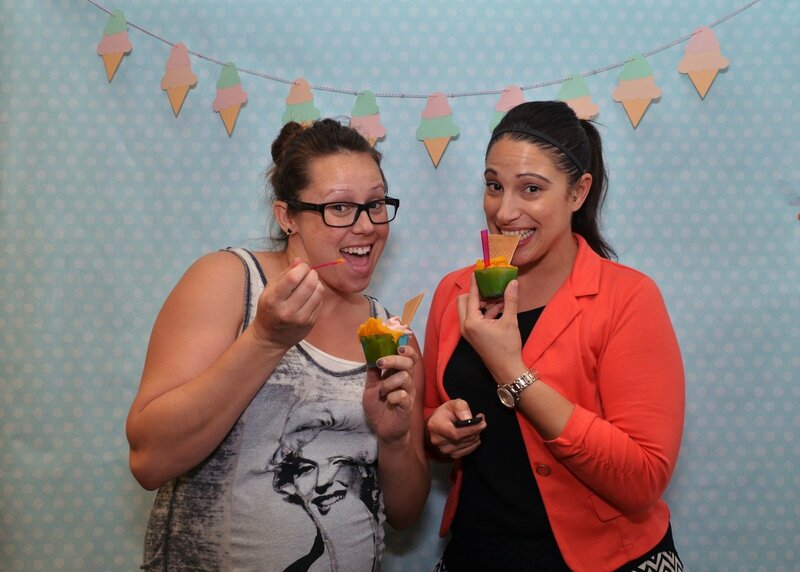 These ladies sure know how to party at a gelato social! 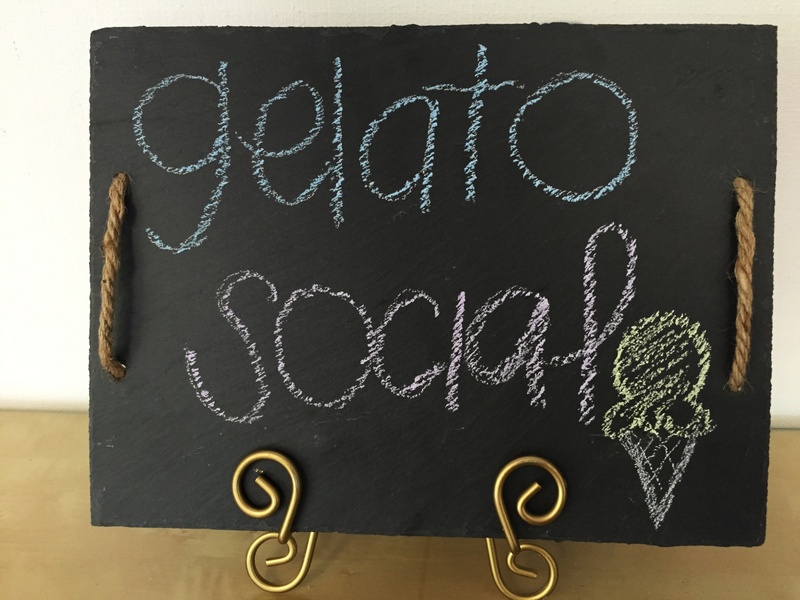 For more information on how to host your own catered gelato social, reach out to our friends at Pop Up Gelato at: www.popupgelato.com.